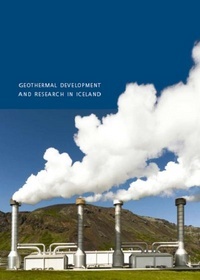 Orkustofnun and the ministry of industry published Geothermal Development and Research in Iceland in May 2006. Due its great success and many requests, the NEA has now published the second edition. It contains an informational summary of geothermal development, regulatory structure, end present issues with regard to geothermal energy. The booklet can be ordered via os@os.is, or downloaded on our website.